Nicholas E. Calio, president and chief executive officer of Airlines for America, will discuss “A Perspective: Congress, the White House, and Business. Bipartisanship in Partisan Politics” at 7 p.m. Feb. 6 at Ohio Wesleyan University. Calio, a 1975 Ohio Wesleyan graduate, will speak in Room 301 of Merrick Hall, 65 S. Sandusky St., Delaware. His free presentation represents Ohio Wesleyan’s 2019 Benjamin F. Marsh Lecture Series on Public Affairs. Calio has led Washington, D.C.-based Airlines for America (A4A), the trade association for the country’s leading passenger and cargo airlines, since 2011. A4A advocates for America’s airlines as models of safety, customer service, and environmental responsibility, and the indispensable network that drives nearly $1.5 trillion in U.S. economic activity and more than 11 million jobs. Known for his ability to build consensus, Calio has focused the association on working with airlines, manufacturers, labor unions, and the government to promote a healthy industry. Prior to joining A4A, Calio served as Citigroup’s executive vice president for global government affairs and a member of its senior leadership committee, responsible for relationships with governments globally. Before Citigroup, Calio served President George W. Bush as assistant to the president for legislative affairs. As the president’s principal liaison to Congress, Calio worked closely with the leadership and members of Congress, and had primary responsibility for formulating and implementing White House strategy on all legislative issues. He held the same position during the administration of President George H.W. Bush. In these positions, Calio established a reputation for working with both Republicans and Democrats. In between the Bush administrations, he co-founded O’Brien-Calio, a law and lobbying firm rated by a Fortune Magazine survey as “one of the 10 most powerful” in Washington. At Ohio Wesleyan, Calio majored in English and served as president of the Sigma Alpha Epsilon fraternity. After earning his OWU bachelor’s degree, he went on to earn his law degree from the Case Western Reserve University School of Law in Cleveland. He is married to Lydia Keller Calio, OWU Class of 1977. 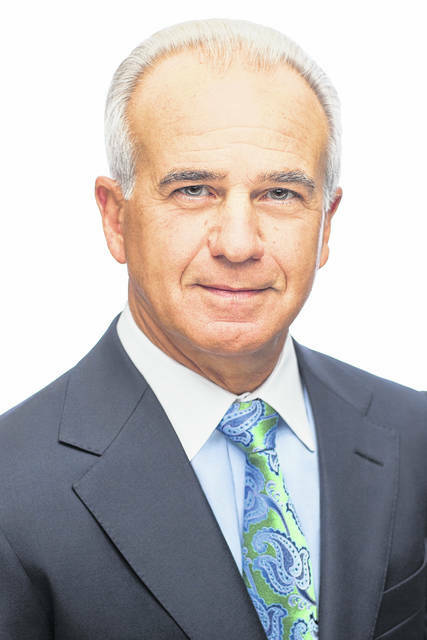 Calio has remained connected to Ohio Wesleyan since his graduation and today serves as vice chairman of the university’s Board of Trustees. Ohio Wesleyan’s Marsh Lecture series, begun in 2001, is coordinated by Ohio Wesleyan’s Department of Politics and Government and the Arneson Institute for Practical Politics and Public Affairs. During his lifetime, Marsh, a 1950 OWU graduate and attorney, held numerous political posts at local, state, and national levels, and served as registration supervisor and adjudicator for the U.S. Department of State to the Organization and Cooperation in Europe (OSCE) and as an election supervisor in Bosnia and Herzegovina. Learn more at www.owu.edu/politics.